Learn how to conduct circuit training drills for either your own personal fitness gains or as part of a sports class session! Circuit training is just one of the many ways in which you can greatly improve your overall strength, stamina and core fitness levels. Most people who attend a gym will concentrate on just one exercise for a set period of time, such as 20-minutes rowing or 30-minutes of cycling. However, in order to spice up your fitness regime and allow yourself to work on different areas of your body we strongly recommend that you learn how to do circuit training. Circuit training is basically carrying out between 6 and 10 different strength exercises, one after the other with a very brief rest period. Each of the different exercises is performed for either a set period of time (i.e. 30 seconds) or for a set number of repetitions. Once you have completed ‘the circuit’ you will then generally take a longer rest before starting the circuit again. You will generally repeat this process for between 2-6 times depending on your fitness levels or your instructor. There are three different levels of circuit training, ranging from beginner, intermediate through to advance. Of course, you can add as many different exercises as you wish, depending on the areas of your body you wish to work on. 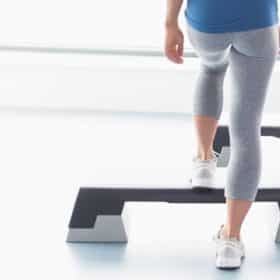 Once you have collated your list of exercises you will then need to details how many repetitions of each you intend to perform, or alternatively, how long you want to do each exercise for. Finally, set a rest period for when you have completed the circuit training session. A good time length for rest is usually between 2 and 5 minutes depending on your fitness level. Try carrying out your circuit training session to music. Again, this will increase and maintain motivational levels. 1. Run 400 metres at your fastest possible pace (sprinting). It is OK to use a running machine if in the gym. 2. Perform 10 pull ups or lateral pull downs. 3. Perform 48 crunches with your knees in the up position. 4. Carry out 15 squat thrusts. 5. Then carry out 22 press-ups. 7. Run 200 metres at your fastest possible pace. 8. Perform 18 x bicep curls with a 10 kg bar weight (total). 10. Perform 15 low-back extensions. 11. Do 12 bench press exercises with a 20 kg bar x 3 times. 12. Conduct 15 lunges with each leg. 13. Run 400 metres at your fastest time possible. 14. Carry out 50 crunch sit-ups with your knees in the raised position. You can select the intensity of the circuit training drill depending on your mood, the amount of time you have and also your energy levels. The circuit training drills DVD set will teach you how to carry out the exercises in a fun and professional manner. Now in stock and ready for immediate delivery! Within this DVD set you will learn many different circuit training drills which can be conducted either with or without gym equipment. Each session is designed to work on different muscle groups which will enhance your own performance. The DVD provides fitness ideas in order to to maximise the performance of your players but also add interest and variety to your circuit training drills. Demonstration of 50 different exercises. Easy to implement and follow.